According to military experts, the short-range Ptitselov system will be able to protect servicemen by destroying missiles and enemy aviation within a radius of six miles. Russian weapons manufacturers are developing a new short-range air defense missile system for paratroopers under the code name Ptitselov. The system will parachute before the paratroopers and cover the servicemen from enemy aviation and missiles. According to Dmitry Safonov, a military observer from the Izvestiya newspaper, the Ptitselov will be based on the existing land Sosna short-range air defense missile system. However, the new machine will also have a launcher, an electronic-optical control system and auxiliary radio-electronic equipment. 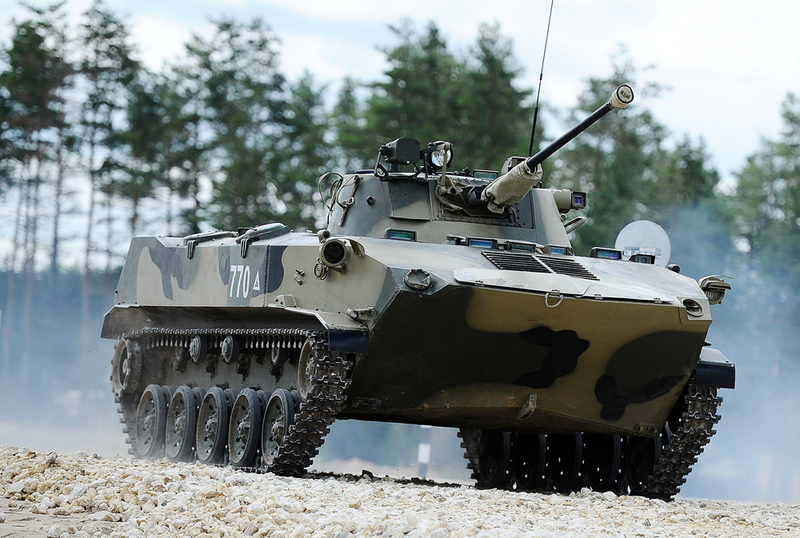 "In order for the system to be parachuted successfully, its weapons and electronics will be similar to the new BMD-4M combat landing system (a tracked chassis, a new body, engine and moving joints)," said Safonov. He also noted that many technical limits and requirements in terms of the joints and in particular the electronics' safety exist in airborne technology. "When throwing down a multi-ton machine from a height of 1 kilometer it is impossible to completely repel a strike as it is landing. It is necessary to create a ‘light’ air defense missile system weighing less than 18 tons with stable electronics and mechanics that will not be damaged as it is landing," said Safonov. Viktor Murakhovsky, editor-in-chief of the Arsenal Otechestva (Arsenal of the Fatherland) magazine, explained that, despite a series of technical limits in airborne technology, the paratroopers' air defense system's combat capacities will not be reduced. He believes that the system's striking area will range from 1.3 to 10 kilometers (0.8-6.2 miles) in distance and from 20 meters to 5 kilometers (0.1-3 miles) in height. The "classic" Sosna system is equipped with 12 missiles with two types of warheads: a high explosive rod for moving targets; and armor piercing for striking objects directly. The combat module itself is located on a gyrostabilized platform, which helps it avoid external influences. "The Sosna is capable of carrying out several objectives simultaneously. It is not sensitive to the influence of enemy radar systems that suppress electronics. Its armor can withstand 12.7-calibre shells. And its crew consists of just two people: the driver and the operator," said Safonov. Paratrooper divisions already possess artillery and the SAU 2S25 Sprut-SD anti-tank self-propelled guns, while the creation of the new short-range air defense missile system will fully guarantee the safety of the personnel and technology during operations in the enemy's rear. Safonov believes that the first Ptitselov prototype may be demonstrated in 2017.